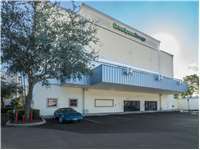 Located on Miami Rd between SE 18th Ct and Manatee Dr, Extra Space Storage serves Fort Lauderdale residents near Harbordale, Poinciana Park, Rio Vista, Edgewood, Port Everglades, and more. Locals will recognize our facility across from Harbordale Park south of BB&T. Extra Space Storage is about 3.9 miles from Fort Lauderdale-Hollywood International Airport, so we're a convenient option for residents and visitors who need Fort Lauderdale self storage close to the airport. Great experience and very professional. Britt was very friendly and helpful. I've been at other storage areas, this one is very clean. The security access is smartly thought out and I feel that my stored items are very secure. At the same time access is quick and easy; not cumbersone. SE 17th Street & Miami Road. Near Harbordale School. Drive south on US-1. Pass SE 17th St and continue south. Turn left onto SE 20th St. Turn left onto Miami Rd. Our facility will be on your right after Manatee Dr.
Drive north on US-1. Pass SE 24th St and continue north. Turn right onto Manatee Dr. Turn left onto Miami Rd. Our facility will be immediately on your right. Drive west on SE 17th St. Turn left onto Miami Rd. Our facility will be on your left after SE 18th Ct.
Drive east on SW 17th St. Turn right onto Miami Rd. Our facility will be on your left after SE 18th Ct.